Language and textual language of the translation are the same. Please select the language of the translation. Could not be evaluated. Please go again later. Could not be evaluated. Please contact the administrator. 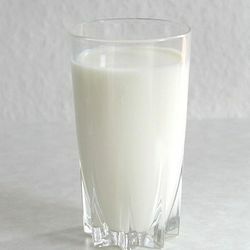 Um die in Milch enthaltene Laktose zu verdauen wird ein Laktase genanntes Verdauungsenzym benötigt. Hunde und Katzen verfügen nicht über dieses Enzym. Beim Verzehr von Milch bekommen sie daher Durchfall (einige Hunde und Katzen vertragen hingegen Milch). Im Handel ist spezielle Milch für Welpen und Katzenbabys erhältlich. Sie ist verträglich und enthält wichtige Nährstoffe. Auch bei Menschen tritt das Fehlen oder die verminderte Produktion von Laktase auf. In diesem Fall wird von Laktoseintoleranz gesprochen. To digest lactose in milk, you need an enzyme known as lactase. However, cats and dogs do not have this. * There are some dogs and cats that absolutely okay. If the symptom is diarrhea, it is probably just not suitable for their body. Thus, milk is not a dangerous food for them. Commercially sold milk for dogs and cats are preferred, as regular milk lacks the nutritional value that little dogs and cats require. There are humans who suffer from diarrhea when drinking milk because their body lacks the lactase enzyme thereby making it difficult to digest the milk. Create access to this article in a different language. Via this function you can report inappropriate or incorrect content.